Dr. Sumit Kumar has a B.Sc. degree from Kurukshetra University Kurukshetra, an M.Sc. in Physics from Panjab University Chandigarh, and a Ph.D. in Theoretical High energy Physics from Panjab University Chandigarh. 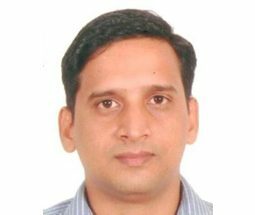 He has worked as Research Associate and subsequently as Centenary postdoctoral fellow in Centre of High Energy Physics, IISC Bangalore. He has worked as Research Professor in Yonsei University Seoul, South Korea, and as assistant professor in RV College Bangalore and MITS Madanapalle. He is a recipient of the prestigious IISC Centenary and Yonsei Research Professor Fellowship. During this period he worked in various National (IISC Bangalore, PRL Ahmadabad, IIT Guwahati , Panjab University Chandigarh, IISER Mohali) and International Collaborations(Oregon University USA, Yonsei University South Korea) and published 11 research papers which have nearly 274 citations with h-index of 8. He has also presented his research findings in various national and international workshops/conferences. He is currently working on some research problems in Neutrino Physics and International Linear Collider (ILC) Physics along with senior Professors from IISC Bangalore and IIT Guwahati.